After a successful partnership with True Bood Live Feed, Technicolor engaged us to expand on that work, and develop a reusable second-screen social platform for Blu-ray. 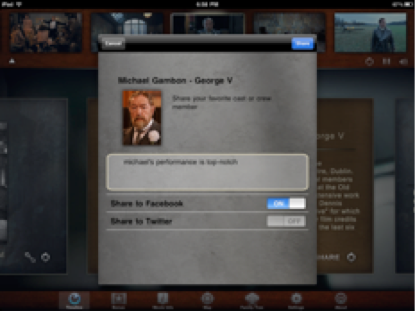 It was first released with the Academy Award Winner The King’s Speech. 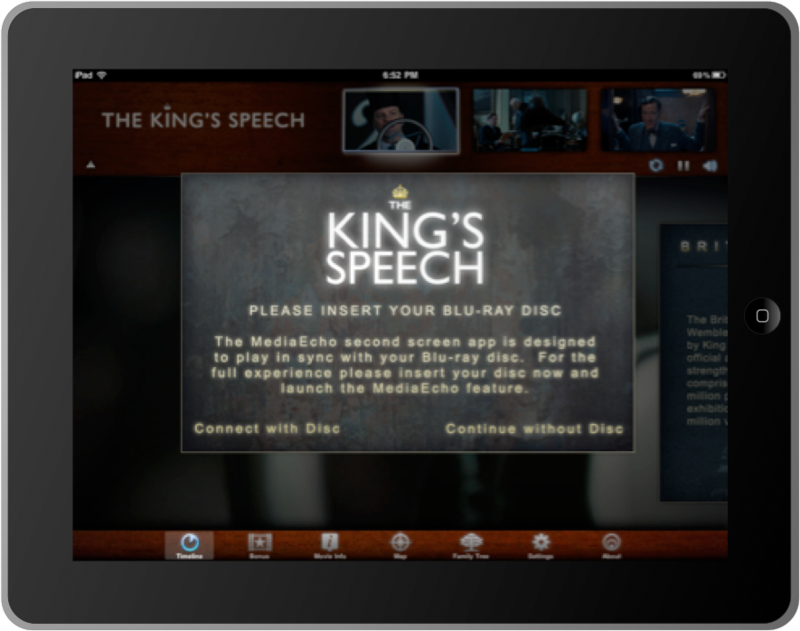 Technicolor Media Echo enables a tablet device to sync with Blu-ray content in real time over local wi-fi, ensuring the second screen and the Blu-ray are never out of sync. 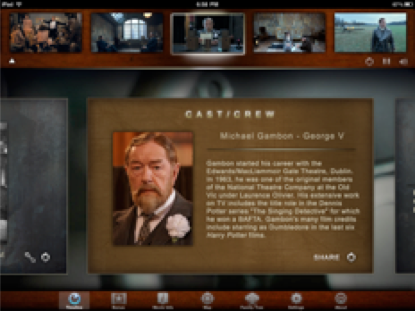 View special features like the director’s commentary and actor bios on your iPad and Android tablets, unlock special items and share exclusive content to Facebook and Twitter. Using local wifi sync, Media Echo also functions as a remote control for Blu-ray, allowing you to play/pause and shift focus between the first and second screens.